New Kowalah is not an app in the AppStore or Google Play (for now) so you cannot find it by searching there. You will still see the old Kowalah in the AppStore but it will not allow you to make bookings. Your username will have been sent to you before the new platform went live. Look for an email from help@kowalah.com. If you have not got an email from Team Kowalah it maybe that we hold an old email address for you. If so - email help@kowalah.com and we will investigate. How do I get my iPhone to remember by password? Once you are logged in tap on the silhouette icon at the top right of your screen. Here you will be able to add your photo, update your name, address and contact details. Your address will have been migrated from old Kowalah so should be correct unless you have moved. Your photo is easily added when logged in on your phone as you can use your camera. Your photo will be shown to parents when you accept a booking so make sure if is a nice close profile photo of just your face! This is what your profile will look like to a parent when they are making their selection. How do I accept a single booking? In new Kowalah we are unable (currently) to send you app notifications like in old Kowlah so you will receive an email letting you know about a new Booking Request (see further down for help on setting up notifications for this email). If you have been listed as a Preferred Kowalah (see below for more information) then you will also receive a text message to let you know. When you click on the link in the email or text message you will be taken to the Booking Requests page or you can login click on the menu and go to Booking Requests. This will show you all open Booking Requests that you have been included in. As we have removed the 15 minute timer we would recommend opening Kowalah whenever you have a spare minute and browsing through the available bookings. You will see a link to a map - tap this and we’ll show you a Google map giving you driving directions and the estimated time to get there - a big request from the Kowalah community! These should help you decide if you can accept the booking or not. You can then Accept or Decline the booking. You still have the ability to change your mind! Another big request from our Kowalahs as mistakes do happen! When you accept a booking you will be given the opportunity to add any notes, such as “I can only start 15 minutes later!” Sometimes parents would be happy to change the time to get the best Kowalah! As we have removed the 15 minute limit parents can now start choosing from the moment the first Kowalah accepts so it definitely pays to respond as soon as you see the request. Parents will then scroll through your profile, reviews and ratings and make their choice. You will receive an email notification letting you know whether you have been chosen. The booking will now show in your Confirmed Bookings tab and you will have a text, call and Intro Call button. Tap Intro Call and you will be automatically connected to the parent to introduce yourself. The Intro Call button will not disappear unless you have made the call. Once you have worked for a family you will show in their system as a Preferred Kowalah. This means you will receive a separate text message to let you know of Booking Requests and you will show in their responses even if you decline, have another booking or have yet to respond. We do this because many parents say they want to see what you say first before they book another Kowalah. So if you can’t do a booking please decline so they can see and make another choice. As in old Kowalah you will Start and Stop your Kowalah timer within the app. You should do this in real time when you arrive and leave the booking. New Kowalah is much better in poor wifi situations so you will see a spinner icon if the app is having trouble connecting. Expenses - you will be asked if the parent asked you to spend your own money on the kids - such as entry to a park or food. Rating - you will be asked to rate the family and provide any notes on the booking. How do I accept a Regular Booking? A regular booking is for ongoing sessions - such as afterschool care throughout term time. Parents will follow a similar booking process but will be asked for a start and end date, and which days a week they would like their Kowalah. Once they submit one of the Kowalah team will review the request manually before sending the request on to you. You will be able to accept the request and let us know that you could only do a particular set of days or weeks. The Kowalah team will then set up multiple individual bookings in your account for you to start and stop the timer as normal. As in old Kowalah we will handle your payments outside of Kowalah for now. If you change bank account details then call us up and we’ll update our systems manually. How can I contact a parent that has an upcoming booking? On your Confirmed Bookings tab you will see all your upcoming bookings also showing the name and photo of the parent. Next to them you will see a text and call button - just tap these to communicate directly with the family. Cancellations are not cool - but sometimes you are ill and we need to let the parent know. If you need to cancel contact us via the Help button/question mark at the bottom of the Kowalah screen as soon as possible so we can make alternative arrangements. Yes, in new Kowalah the parents also rate Kowalahs at the end of a booking. This helps other families decide whether to select you in future bookings. Kowalah ratings are averaged and you can see your Kowalah Rating on your profile page by clicking on your photo. In new Kowalah you will be paid on the same timeline - typically the following morning from a booking. If we query a start or end time we will let you know immediately and hold the payment until agreed. If you have any queries just contact us via the Help button in the app. How do I make sure I get notified when I receive a Booking Request email? We know that many of our Kowalahs get a lot of email and don’t have notifications turned on. If you have an iPhone then there is a neat trick to enable you to get pinged just for your Kowalah emails. 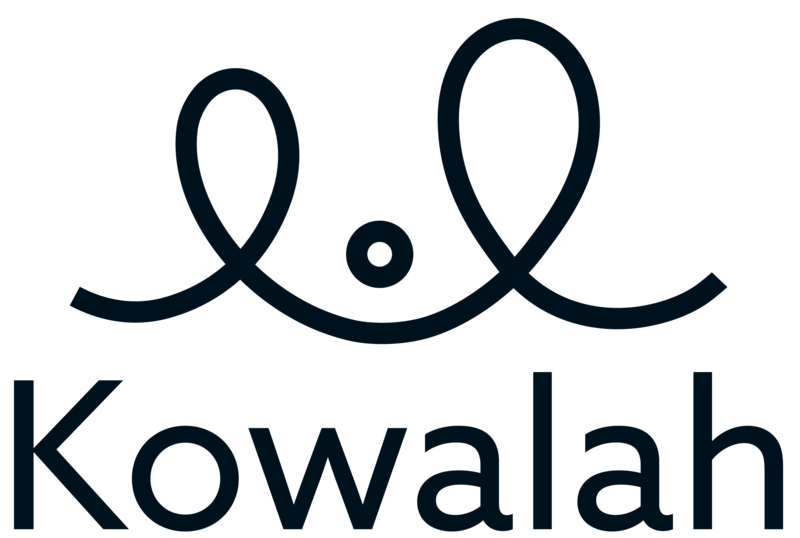 Firstly make sure that Team Kowalah is set up as a contact in your Contacts app with the email address help@kowalah.com. Now tap Add to VIP on the Contact. Now tap VIP Alerts and you can set up how you want emails from Kowalah to be notified to you.